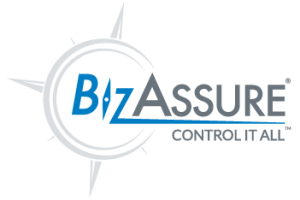 We proudly offer BizAssure Premium Consulting Services. Imagine being able to save $800 dollars for every employee that works for you, every single year. Imagine that you could have unlimited free access to attorneys that are ready to answer the business questions that keep you up at night. Imagine that you could find almost any service your business needs, and at a significant discount. No need to imagine, because Slater & Associates Insurance, Inc. has already made a significant investment into BizAssure so this can be a reality for your business. Email or call to talk with experts from leading national law firms and other providers. Get a free handbook review, a discount when you create one, and then BizAssure will keep it updated for free every year after! Need safety training, sexual harassment? Something else? BizAssure has the training your business needs to be at the top of its game. Your employees are the lifeblood of your business. Make sure their ethics are right for your business. Not every employee is right for his or her position. Make sure new hires get placed in the job that best suits their strengths. Want to learn how you can get these services, exclusively from Slater & Associates Insurance, Inc.? Contact us today and we’ll tell you exactly how your business can save $800 per employee, per year! Control It All with Slater & Associates Insurance, Inc. and BizAssure!